Tieto’s solution, which was successfully implemented by Kjell & Company at the end of 2018, ensures that the company’s e-commerce platform always offers fast and smooth page loads, regardless of the number of visitors on the website. This translates into an increased profitability for Kjell & Company and an improved shopping experience for customers. “We had to meet customers’ increasing demands on having a flawless user experience. When it came to sales campaigns, such as Black Friday, the load on the website was uneven and page loads took a long time. At the same time we wanted to minimise the impact on our existing servers. We chose Tieto Web Performance because the solution offers a flexibility that includes several options, as well as being very fast and easy to integrate. It enables us offer a stable website and we can now focus on the development of new functions which increases customer value,” says Stefan Olsson, head of e-commerce at Kjell & Company. Tieto Web Performance is a cloud service that helps companies and organisations meet the increasingly tough demands on fast loading times and smooth access for users. The solution allows for data to be cached closer to the end-user, radically reducing loading times. It protects a website from temporary overloads caused by intense customer traffic, or malicious hacking attempts, such as DDoS attacks or other forms of volume fraud. By distributing high-volume traffic over a global network of servers, the company’s own servers are secured, ensuring that its web services continue to function at an optimised level. 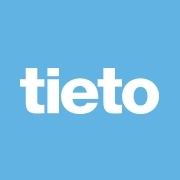 “Tieto Web Performance is the single largest performance enhancer that we have implemented for kjell.com. The result speaks for itself: we have 60-70% less load on our own servers, meaning we can welcome more visitors on our website than before and still deliver a stable customer experience for both customers and stores,” Stefan says. Tieto Web Performance is built on Telia’s world leading Content Delivery Network solution (CDN). The solution provides access to more than 130 Points of Presence (POPs) on six continents and is one of the largest CDNs in the world. “Tieto and Telia’s collaboration strengthens Tieto’s wide portfolio of IT services for customers in the Nordics, and in which Tieto’s Web Performance solution is part of Tieto’s ecosystem. Coupled with our two companies’ strong local presence in the Nordics, our 24/7 support services and by having one of the largest Content Delivery Networks in the world, we can guarantee that your online platform always offers the best user experience and is capable of handling traffic congestion without the web performance taking a toll, regardless of where in the world your customers are,” says Fredrik Bergström, Lead Business Development & Sales at Tieto. Tieto Web Performance is part of Tieto’s portfolio of offerings within E-commerce, in which other services such as cloud-based infrastructure, web development, marketplace functionality and growth hacking are also available.